Our guide to Philadelphia will help you find the best vegetarian restaurants in Philadelphia Pennsylvania. Historically speaking, Philadelphia is a city of superlatives: the world's largest municipal park; the best collection of public art in the United States; the widest variety of urban architecture in America; and according to some experts, the greatest concentration of institutions of higher learning in the country. There are tons of great vegetarian restaurants in the city of Philadelphia, our city guide will help you find the best vegetarian restaurants. You may have a hard time deciding what to do in Philadelphia, but we make your decision easy. 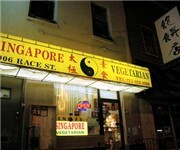 1006 Race St, (215) 922-3288 - Singapore Chinese Vegetarian is a vegetarian restaurant located in Philadelphia PA.
1033 Spring Garden St, (215) 232-9001 - Thoreau Restaurant Vegetarian Grille is a vegetarian restaurant located in Philadelphia PA.
10863 Bustleton Ave, (215) 677-4400 - Taj India is a vegetarian restaurant located in Philadelphia PA.
1136 Arch St, (215) 440-0991 - Basic Four Vegetarian Snack is a vegetarian restaurant located in Philadelphia PA.
1149 N 3rd St - Genmai Cafe is a vegetarian restaurant located in Philadelphia PA.
1214 Walnut St, (215) 546-2009 - New Samosa is a vegetarian restaurant located in Philadelphia PA.
129 N 11th St, (215) 413-2290 - Kingdom of Vegetarians is a vegetarian restaurant located in Philadelphia PA.
129 N 11th St, (215) 413-2290 - Kingdom of Vegetarians Restaurant is a vegetarian restaurant located in Philadelphia PA.
135 N 9th St, (215) 627-4520 - New Harmony Vegetarian Restaurant is a vegetarian restaurant located in Philadelphia PA.
1508 Sansom St, (215) 564-1419 - Su Xing House is a vegetarian restaurant located in Philadelphia PA.
18 S 20th St, (215) 751-0477 - Mama’s Vegetarian Is A Fast Food Middle eastern Kosher Restaurant. 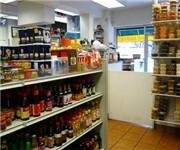 2001 Fitzwater St, (215) 546-1002 - Beauty Shop Cafe is a vegetarian restaurant located in Philadelphia PA.
218 S 16th St, (215) 732-8888 - Mi Lah Vegetarian is a vegetarian restaurant located in Philadelphia PA.
24 E Mt Airy Ave, (215) 247-5100 - The Black Olive is a vegetarian restaurant located in Philadelphia PA.
2538 Welsh Rd, (215) 969-6600 - Las Margaritas is a vegetarian restaurant located in Philadelphia PA.
51 N 12th St, (215) 440-0991 - Basic 4 Vegetarian Snack Bar is a vegetarian restaurant located in Philadelphia PA.
6008 Germantown Ave, (215) 843-6453 - The Nile Cafe is a vegetarian restaurant located in Philadelphia PA.
611 S 7th St, (215) 923-6117 - Horizons is a vegetarian restaurant located in Philadelphia PA.
6420 Frankford Ave, (215) 338-3940 - Montesini Pizza & Restaurant is a vegetarian restaurant located in Philadelphia PA.
S Broad St &Amp; S St, (215) 545-5452 - Gourmet To Go Vegetarian is a vegetarian restaurant located in Philadelphia PA.
738 Adams Ave, (215) 537-1937 - Rajbhog Vegetarian Kosher is a vegetarian located in Philadelphia PA.
810 S 47th St, (215) 729-2993 - Fu-Wah Mini Market is a vegetarian food / grocery store located in Philadelphia PA. There are plenty more vegetarian restaurants in Philadelphia. See all vegetarian restaurants in Philadelphia Pennsylvania.